My first MOC in the Hero Factory Breakout Wave 2 era is a completely different take on the Stringer + Voltix combination. My first MOC in awhile, I did this on a whim after dinner about a week ago. Got a small new group of parts in the mail! 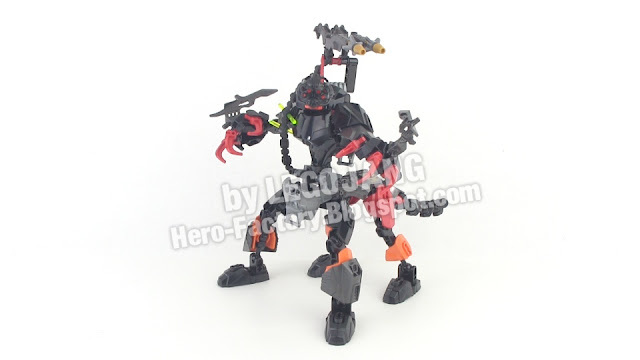 Saving the biggest for last, here's LEGO's Hero Factory Breakout Wave 2 combination between Stormer XL and Speeda Demon! Looks like Voltix has picked up some cool new hardware! Doesn't hurt that he was able to pick & choose from Stringer's parts bin! 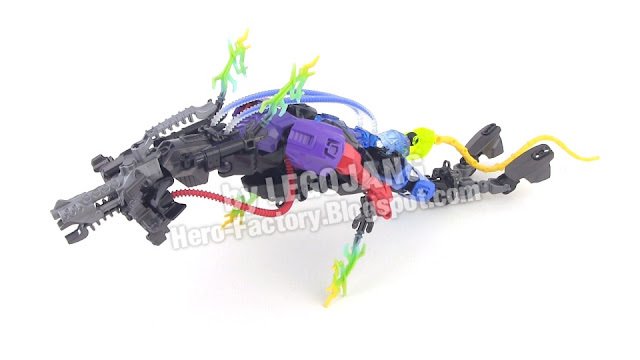 It's yet another combiner model from LEGO's Hero Factory Breakout Wave 2 line! I am also aware that there are a couple of very insignificant differences between the combiner models I made from the photos and the official instructions. Not every comment on my relevant content on YouTube, Facebook, and here need to let me know about this! LOL! The differences are so slight and inconsequential that I will not be making updated builds or videos as there is really no need. Here's my second Hero Factory Breakout wave 2 combination model video pair, featuring the talents of Bulk & Core Hunter, who together form some sort of evil mechanized centaur.